In March 2016, Box Elder County Credit Union won a Diamond Award for a new mobile website designed by BloomCU. 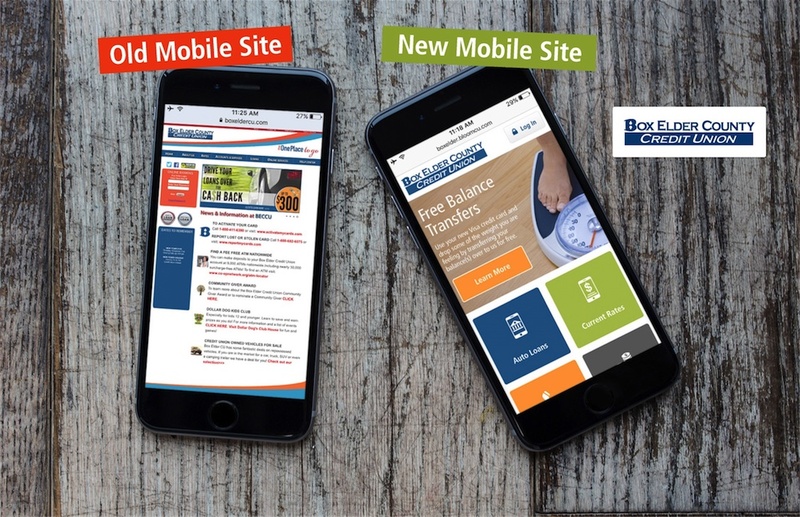 You can see Box Elder’s new mobile site by visiting boxeldercu.com on your smartphone. To see the new desktop site, visit on your desktop, laptop, or tablet. 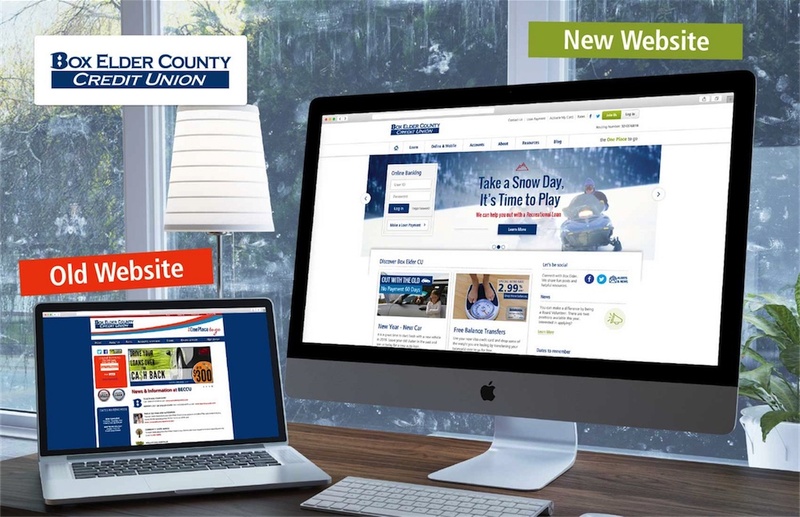 Tonya Gail, Box Elder’s Marketing Director, headed up the website redesign for her credit union. Congratulations to Tonya and the Box Elder gang for this achievement! Below are some Before and After shots as well as an explanation of what we did to win a prestigious Diamond Award. To win a Diamond Award, you have to submit an application and answer questions about your marketing project. Our application responses exemplify BloomCU’s core web design strategy: put yourself in the shoes of the user. That simple, user-focused strategy guides our work and produces award-winning designs. These application responses are written from the perspective of Box Elder County Credit Union. “Every aspect of the mobile website was created with residents of Box Elder County (our target audience) in mind, right down to nitty gritty details about what types of houses and cars to show in our images. We did this because we really want to connect with our visitors and show that we understand who they are, because they are our friends and neighbors in Box Elder County. “A brief introduction to the product or service that explains Who and What. “Additional information that educates the reader about the product or service. To learn more about the process of creating a gorgeous credit union website design, see this case study with Meridia Community Credit Union: How Meridia Got a Beautiful Credit Union Website Design. Get our crazy ideas and doable tips in your inbox.